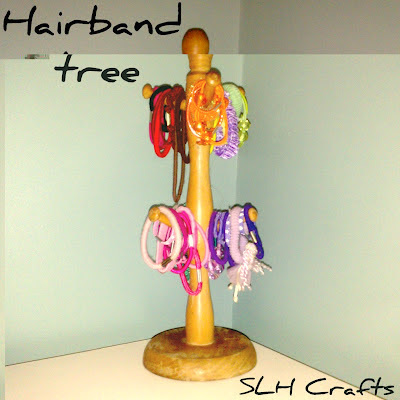 Hairband Tree - I used an old mug tree to store my hairbands. You could use these trees to store jewellery or scissors too. You could paint the trees to match your room decoration if you wish.